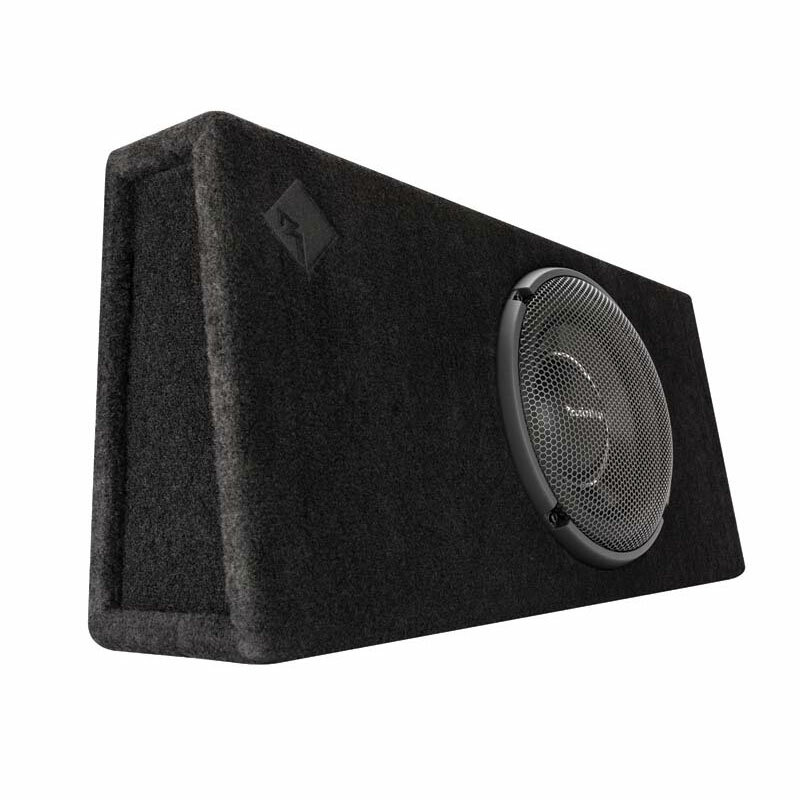 Need a slim subwoofer system to fit behind your truck seat that can hit hard and has high power handling? Rockford Fosgate has the solution to your problem with the Power T1 slim 10” vented loaded enclosure. It may look small, but it plays loud because it’s tuned to enhance hard-hitting frequencies, and its whopping 500 Watt RMS power handing capacity and 1-Ohm configuration allows you to push it with serious power. Features space saving, slim-line wedge design, premium carpet with stitched Rockford Fosgate logo, and quick-release input terminals. The Power T1S-1X10P is a loaded enclosure featuring a 10” Power T1 slim subwoofer and a whopping 500 watt power handling capacity. This enclosure is vented for fanatics who prefer a "boomy or hard-hitting” bass response.